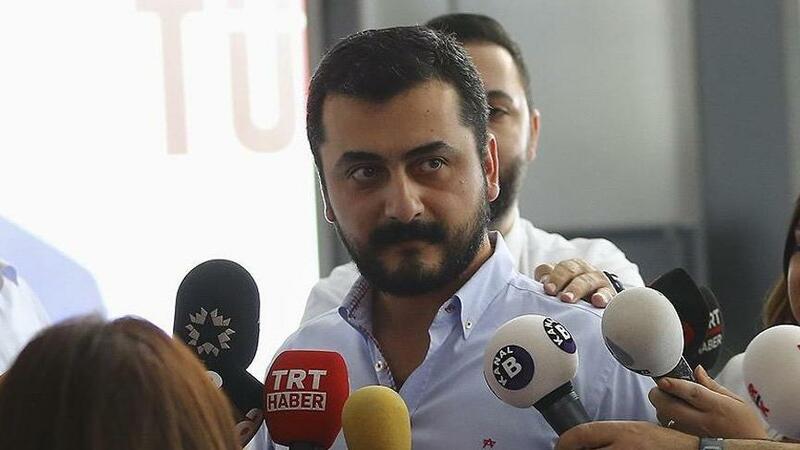 Eren Erdem, former opposition Republican People’s Party, CHP, deputy, who has been imprisoned at a prison in Silivri, one of Istanbul’s suburban districts, for the last 220 days, announced that he is going on a hunger strike. I declare to the general public on the national and international level that I have started an indefinite hunger strike. The reason for my decision is that the court that judged me on January 7 must acquit me because there is absolutely no evidence suggesting that I committed a crime. My file was handed over to a new judge who apparently read 56 folders in 15 minutes and then decided to arrest me again, thereby taking away my right to a fair trial. This scandal has occurred twice in our legal history. The first one was the ÇHD* trial, and the second one is my case. I am being tried for assisting FETO**, and I was arrested for this despite being anti-FETO and writing books against FETO. There was no evidence that I was guilty, and therefore I was released by the court after they looked at my file. However, I was arrested again by the court after one phone call. My father was fired from his job at the age of 70 when he protested against the butchering of justice in front of the prison. I cannot see my son, friends and loved ones because of the 220-day travel ban. All this because I was a dissident. In this environment, where the judges receive orders and are cruel enough to push an MP and drive him to choose to fast to death, I begin a peaceful act as I have done throughout my life. My aim is to see that the initial decision of the court that was looking at my file is implemented and that everyone is treated with justice. This fast of justice, which starts with a hunger strike and becomes a fast to the death by the cessation of taking any liquids, is the most legitimate way to resist persecution. And this is my responsibility to my people. It is my right to explain our ideas and to oppose persecution under all circumstances. I wrote in my eight-meter square cell under heavy isolation and turned my ideas into a book. The fact that they can associate me with a dark entity which I opposed all my life, and that they show malice to my family with slander and blackmail, shows that there is no justice. I always defended justice. I walked 430 kilometres for justice. Today I am starting the fast of justice, not only for myself but also for those who have a thirst for justice. I implore all my people to support and show solidarity for my fast for justice, as an intellectual, thinker, politician, journalist, son, and most importantly, as an innocent father. After Erdem’s letter was shared with the public, his lawyers visited Silivri prison. Erdem was arrested after the presidential and general elections in June 2018 when he lost his parliamentarian impunity as he did not run in the elections. Istanbul 23th high criminal court decided a supervised release for Erdem, a former MP and Editor in Chief of Karşı Daily which was closed under the emergency rules after the coup attempt in July 2016, with ban travel to abroad on January 7. However, subsequently the release verdict was appealed, and an upper court issued an arrest warrant for him. Thus he couldn’t walk away from the courtroom. He has been in prison since June 2018. He is being accused of helping the Gulen movement. ** a term that the Turkish government uses to call Gulen Movement.